If you like to hit, break, and smash things, this crash test pack is just for you! 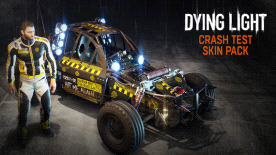 Get a skull-themed racing suit and a crash test paint job to customize your in-game buggy. Note: This content requires Dying Light: The Following expansion pack.